Building on previous RTTY contest entries, which the team are enjoying more and more, we decided to give WW RTTY a real good shot this year. 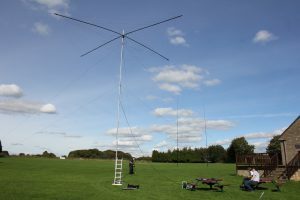 Sadly we were a few men down due to other committments but the four of us arrived at the contest site on a beautiful sunny day and setup the aerials in record time. 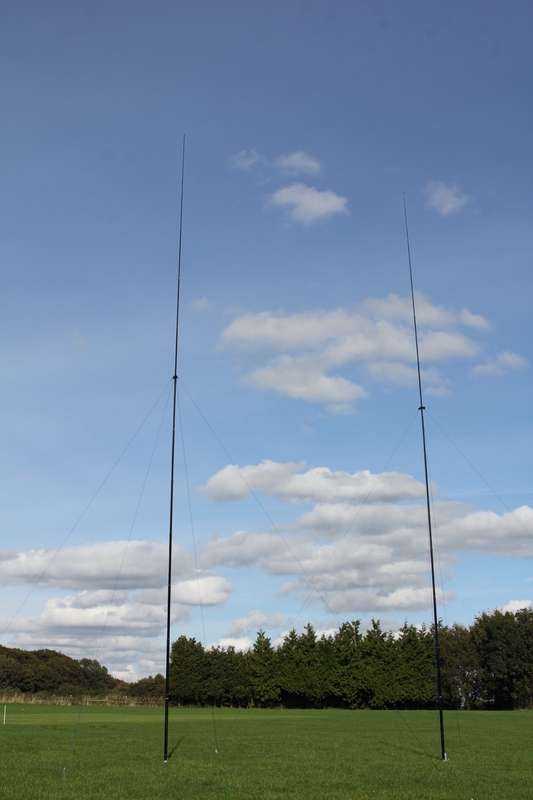 We went for the trusty Spiderbeam for 20/15/10 and verticals for the low bands, with the addition of a 2nd vertical for 40m to give us a phased array. The sunspot cycle had dropped considerably over the summer so we weren’t expecting much from the high bands. 15m was a struggle at times and 10m hardly opened at all, apart from some TEP down to South America. 20m should have been the bread-and-butter band but even there we struggled to get decent runs. 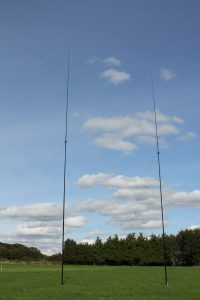 But the low bands really shone, especially 40m with the phased verticals as can be seen from the scores – nearly 800 40m QSOs. It’s hard to state how good the phased verts were, we monitored USA SDRs and they heard us right through daylight hours. Kudos to 2E0SQL the king of night-time operating who racked up this amazing number of QSOs. The weather was kind all weekend, which was good as we operate from a very windy location. No real aerial dramas except the Spiderbeam ate into the support pole, a persistent problem we’ve encountered due to the way it’s mounted.The other major drama was a PC failure in the middle of the night: thankfully one of the laptops was put into service and we were able to recover the log from the other PC when we got back, and piece the two logs together. 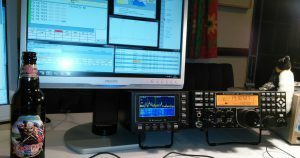 Good job it was a WW contest with no serial numbers, although it did mean we had no record of previous QSOs on the laptop and so worked a few dupes. We had a fast breakdown at the end of the contest, and just before the rain arrived, . All in all a fantastic weekend and preliminary scores suggest we’re no.1 in G for our category.